Green Day have expanded their upcoming tour of Australia and New Zealand with the addition of three new shows due to overwhelming demand. A presale for Frontier Members begins on February 2, while general public seats will go on sale February 7. Green Day have also confirmed that the Los Angeles ska punk band The Interrupters will open all shows on the two-week run. The group are currently playing dates on a European arena tour that began in Turin, Italy on January 10; the month-long series will wrap up in London, UK in early February. 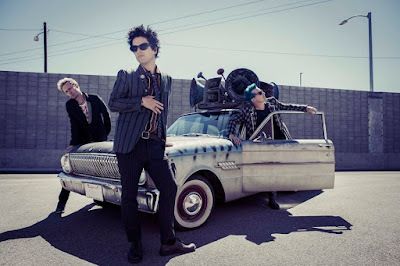 Green Day will launch a spring trek across North America, with guests Against Me!, in Phoenix, AZ on March 1; they’ll return to play a recently-announced summer tour that begins in Auburn, WA on August 1.